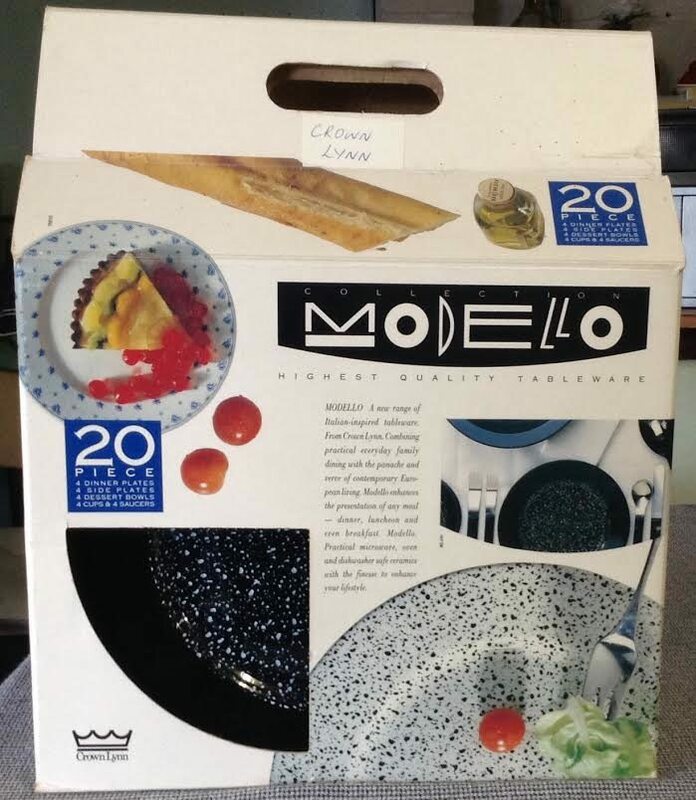 A Modello Milano 20 piece dinner set new-in-box. 20 pieces, cup/saucer, side, desert and dinner plates, four places. A friend is wanting to sell this set on behalf of someone else, but locally (Whangarei), not on trademe. Any ideas for a price? I suggested $100 as something to consider but that may be too much for a local sale. I can buy on behalf if anyone has offers but moving it may be tricky. I could possibly arrange to get it as far as Auckland. I have photographed the box as it may have useful information. The pattern is isible in the quarter-round widow bottom left in the first pic. Jeremy this is an extremely cool pattern made not long before the factory closed. 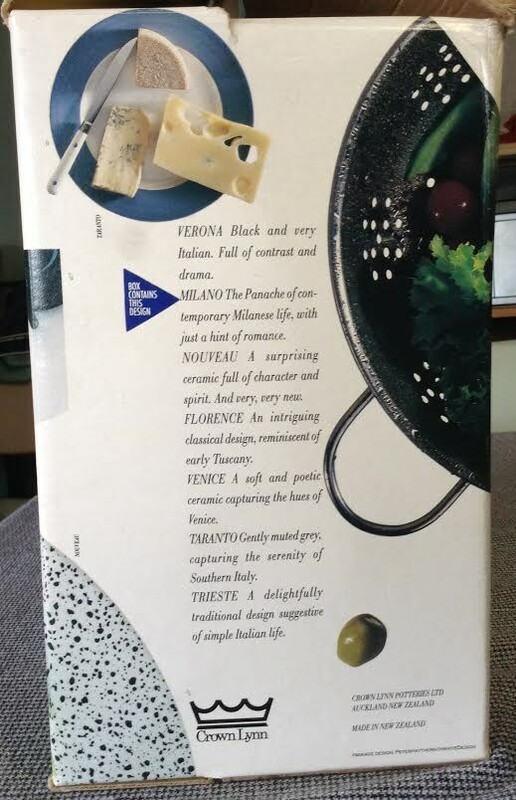 It is excellent quality china and that box is outstanding. I wouldn't think $100 was excessive but regular TMe traders would have a better idea. One caveat - we ate off out set for a few weeks then went back to a more muted pattern, we found this pattern was too strong and zingy to use as a dinner set...made our eyes twitch! Val, can you suggest a reasonable price to tell my friend? I did notice I think four saucers only on tm for 45 but of course they are still there! 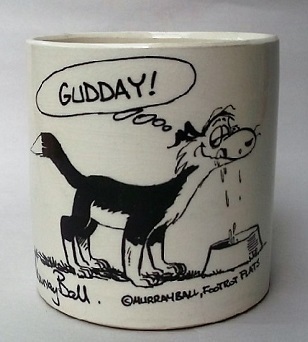 I received word this morning that this has been sold for well in excess of our estimates. 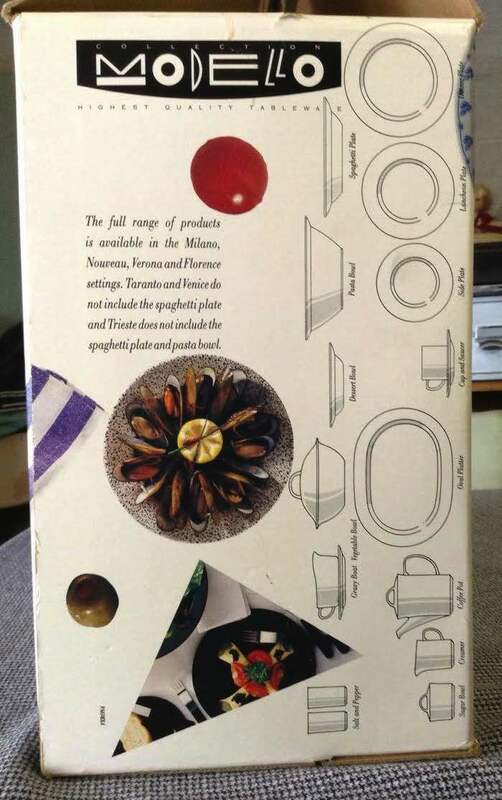 In the 1988 Crown Lynn Catalogue they have a suggested retail price for the 20 piece set of $125 if that helps. Gosh I would have loved to get this a few years ago, but I have almost a set now! 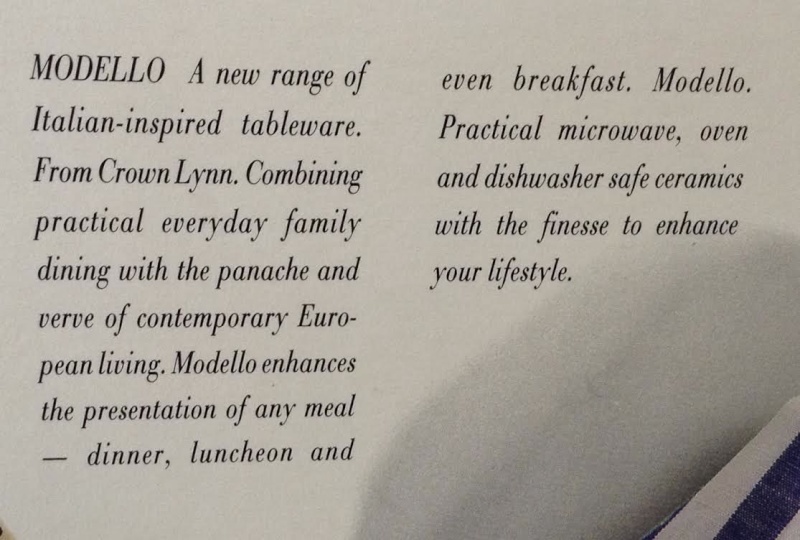 Ev could we have a section for "Crown Lynn packaging" maybe under More Crown Lynn Topics. Sure, just have to remember when I get home tonight. 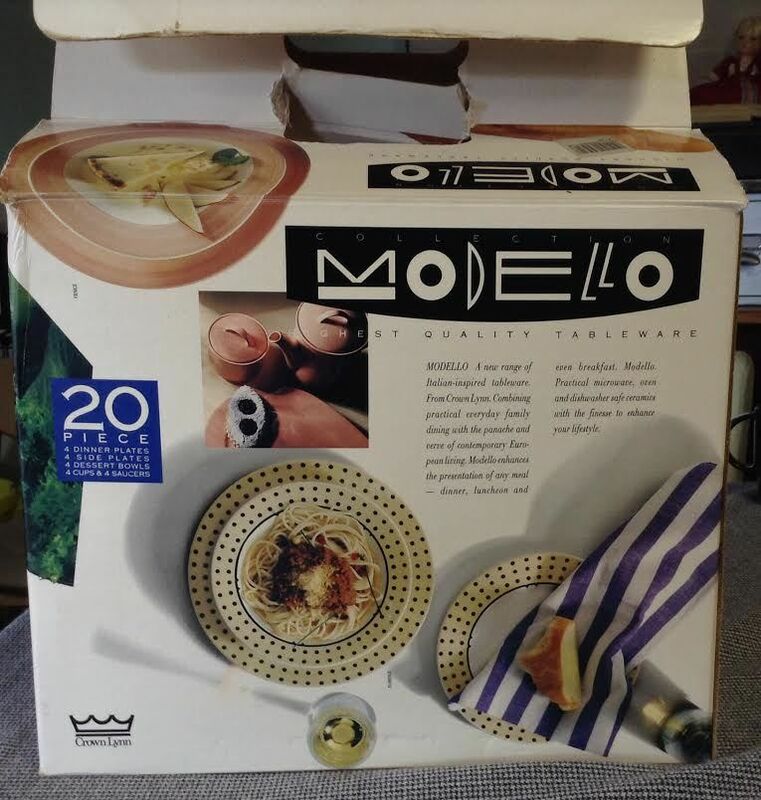 I am seeking good condition sets of Modello for inclusion in an exhibition at Objectspace, Auckland, in February-March 2018. This set looks great - any idea where it is now?